This is a pack of two optional RPM RC10 Inside Rear Hinge Pins. The re-release of the RC10 Classic has come with a few changes that affect users of the original RPM RC10 Rear A-arms (RPM70542). RC10 Classic A-arms aren’t quite as wide as they used to be, so Associated shortened the length of their hinge pins (ASC6380). That means those hinge pins are not compatible with RPM A-arms or older versions of the stock RC10 A-arms. 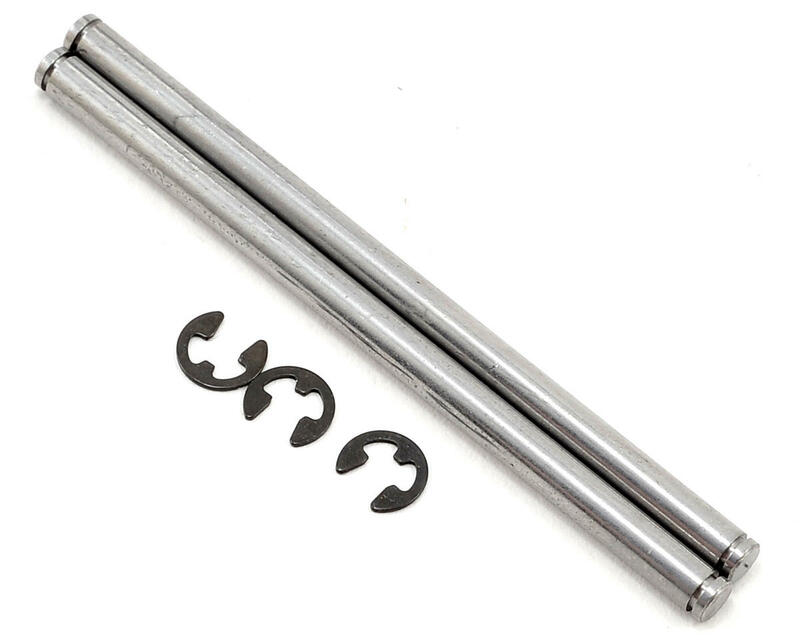 To rectify that problem, RPM contacted the original manufacturers of the stock Associated hinge pins and had a set made to the old specifications. These hinge pins are made in the USA, just like they were 20+ years ago! NOTE: RPM Inside Rear Hinge Pins are 2.28” O.A.L., 1/8” in diameter and are sold in pairs with e-clips. 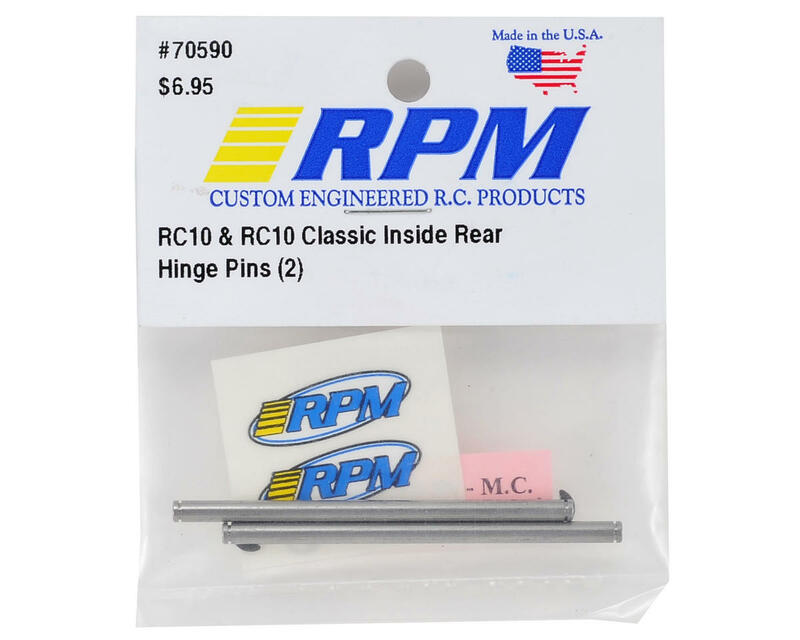 These hinge pins work on the original RC10 & newer RC10 Classic when combined with RPM A-arms (RPM70542). They are not compatible with later versions of the RC10 such as the B2, B3, etc., nor will they work on the RC10 Team Car.